Are consulates open on the weekend? No, consular offices operate on a Saturday or Sunday in South Africa. Check the applicable published operating times for each consular office represented for that country you wish to visit, as each Embassy/ Consulate has different operating times. Can I submit my application through an agent, like Visalogix or would I have to appear in person when I lodge my visa application at the consular offices? More recently consular offices are becoming more strict with 3rd party submissions, therefore it is best to check with us, Visalogix, for this service. Do I require to book and pay for my air ticket prior to my visa application? Should you be applying for a Schengen visa, then yes, you do need to book and pay prior to your visa submission. Other consular offices, might just wish to see your flight reservation. Be sure that the name of your air ticket matches your passport name. Do I need to make an appointment with one of the consultants at Visalogix to lodge my application? It is not essential to make an appointment to see our consultants. But should the application be of an urgent nature, we would like to see you as early as possible in the day. All our branches are open at 08h30 to 16h30 and we are open on a Saturday morning as well in Cape Town only, from 09h00 to 12h00. Should the applicants be resident in Cape Town and the consulate is in Gauteng area, we would like to see you before 13h00 at the latest, to allow technical support and checking of documentation before the overnight courier bag closes by 14h00. What is the difference between a single entry and multiple entry visa? A single entry visa allows the traveller to enter the (applied visa ), country, only once while the visa is valid. Once the traveller has exited the visited country, the visa is no longer valid, even if there are still valid days left on the visa details. For example, you were given 10 days to visit France, and you were issued a single. But you only visited 7 days. In essence you have 3 days in balance, but because you have left the country, those days are forfeited and you have used your single entry. If your travel plans require you to re enter the same country more than once, you must ask for a multiple entry visa and provide evidence per your travel itinerary. What is the meaning of a “business” visa? A businessman would be applying for such a visa when he shall be entering into negotiations with potential new clients abroad, or when he has meetings to attend, or projects to review, or to attend conference or exhibition. It is always better to enquire with our consultants, if business travellers have more specific agendas abroad. A visa is an entry in a passport or other travel document made by a consular official of a government to indicate that the bearer of the passport has been granted authority to enter or re enter the country concerned. Whether you paid a fee or the visa was gratis, your visa is not guaranteed. The consular offices access each application on the documentation submitted and make their decision. Some countries require you to sign your application form, giving the consular offices permission for them to make a character check on the applicant. Should my visa be not approved will I get my visa money back? Unfortunately, the consular offices do not refund any visa fees, regardless of the outcome of your visa application. Even if you asked for a multiple entry visa, and you were issued with a single entry visa, and you paid more for the initial visa, your visa fees will not be refunded. Documents submitted to the consulate will I get them back? Please make copies of your application and supporting documents and keep for your filing. The documents you submit to the required consulate does get returned to you. Even if they are original ones, unless you specifically request their return per letter, the consular offices will keep them. If the application is such where your original birth or marriage certificates will be sent, make certified copies and send the originals, with a letter requesting the original documents/certificates be returned. 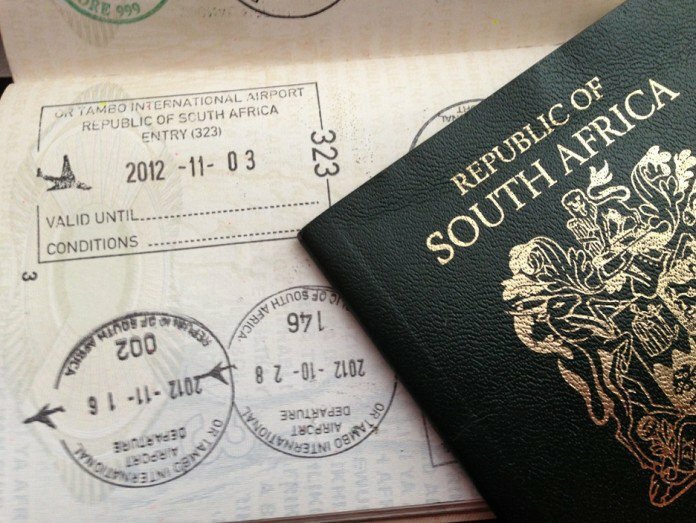 What if I need a passport urgently and home affairs do not issue temporary passports any longer? Temporary passports are no longer being issued by Department of Home Affairs since 1 September 2014. Emergency Travel Certificates are issued on the same day in consideration of the nature of circumstances presented as an emergency need. In this regard, only an Emergency Travel Certificate (ETC) will be issued to an applicant under circumstances of emergency travel purposes such as when a passport that is lost while abroad; and traveling to countries that accept ETCs for purposes of assisting family members in distress or if a family member is deceased. A Schengen Visa is the document issued by the appropriate authorities to the interested party for visiting/travelling to and within the Schengen Area. The Schengen Area is comprised of 26 countries that have agreed to allow free movement of their citizens within this area as a single country. Make contact with VISALOGIX to establish which country is part of Schengen and see what type of service we can offer you.